I have been a part of MYA for a little over a month and let me tell you it has been a whirlwind! I came here after working several years at both Lyric Opera of Chicago and Ravinia Festival, Steans Music Institute and I had no idea what to expect. I did not grow up in the area so I did not have the opportunity to be a part of this delightful music community or anything like it. I have met so many wonderful people who are dedicated to MYA and its beliefs, I have learned so many different things that I never thought I would have the opportunity to learn, and most importantly I have heard glorious music in the hallways at the MYA center. This past Saturday was my first Saturday and it was an experience. When the seasoned staff told me that you will print out so much music, or you will get nothing done, they were not kidding! It was one of my favorite days so far, I met some wonderful musicians as well as their parents, I heard more music, and it made the MYA Center really feel like a home. I look forward to learning more about this great organization, learning more faces and names, and hearing much more music! 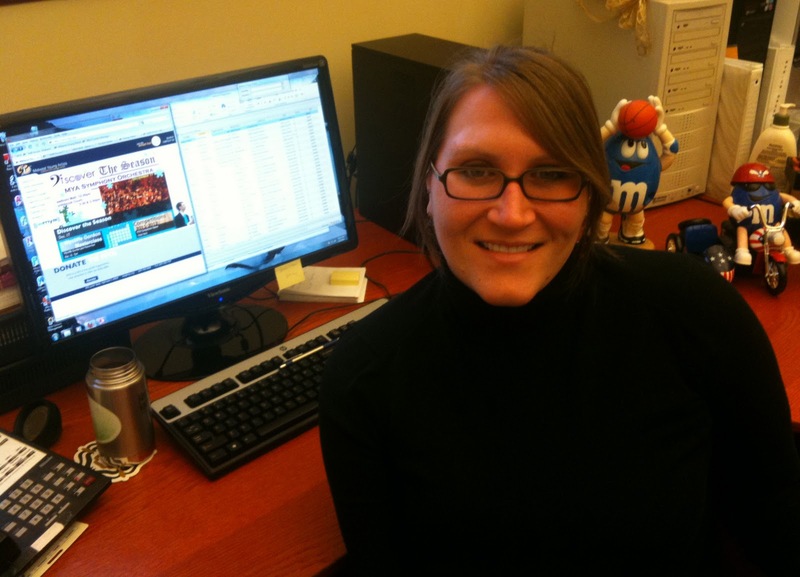 You will hear more from Chelsa as she coordinates MYA Summer Programs and Auditions this year!